Yuhui Yao, PhD on Machine Learning, has 18 years Big Data Analytics experience in FWD, PingAn, UOB, IBM and Cisco. He is strong on both technique with 10+ data mining research papers published and business acumen which always deliver more than business asked. He has lead more than hundred data mining projects that have generated hundred millions of incremental revenue. The excellent result has won big recognitions such as National Centre for Database Marketing Gold Award, IBM AP Best Practice and was voted the most useful and best practice from the perspective of Cisco's ISO-9001 Quality Program. To have big business impact, he believes business value is target, data mining is tool and platform is critical to scale. 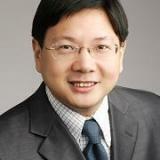 Currently he is leading the big data strategy and analytics for FWD group based in Singapore. Check out the incredible speaker line-up to see who will be joining Yuhui .